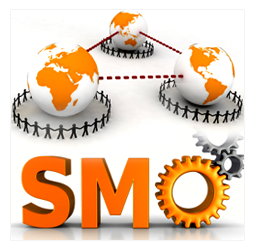 ﻿ Social media optimization & SMO services In Mumbai,Thane,India,USA. Are you one of those assertive business owners who do not have more than a month to anticipate results? Social Media Optimization is your answer. At this e-Age everything is at your finger tips, and it is necessary that you are visible in social media as well. We assure you to increase sales/ leads for your business by leveraging successful social media marketing strategies to your business. The consumer trend is to search the web for gathering information and confer to their acquaintances rather than consult an expert. Social Media Websites like Facebook, Twitter, LinkedIn etc, have huge traffic. Customers browse the web, become a part of on-line community with shared interest and make decisions. You need to make smart decisions to utilize social media and reach potential customers. Our Social Media Experts shall help you figure out best social media for your business. We work out a strategy for boosting you Return on Investment (ROI) while keeping the focus on your Objectives and Goals. In recent years, Social Media has evolved to a new high. By advertising in these media, you shall connect with your consumers like never before. In addition, you shall reach your customers close association as well. We are one of the reputed web service provider located at Thane, Mumbai. Through our social media optimization service, we help website owners generate viral publicity and gain brand recognition easily. We drive traffic to a website using various social media sites, bookmarking sites, RSS feed, blogging sites and videos. Our social media optimization service is the most suitable option to drag potential customers towards a website.